The NOA’s small Observatory building is set in a 13 acre (5 ha) reserve of pine and scrub-covered dunes between the shore and the Broad Water at Holme-next-the-Sea. The Observatory reserve lies immediately to the east of The Firs, the Norfolk Wildlife Trust’s Holme Dunes visitor centre. The Observatory is well situated owing to the change in the line of the north-facing coast, which drops away to the southwest and into the Wash, leaving the pines and dune scrub as a prominent magnet for migrating birds. The reserve is in close proximity to several different habitats, with the sea, beach, dunes, pine woods, scrub, salt marsh and fresh marsh all contributing to an incredibly varied wilderness. There are a number of rides in the dune scrub in which mist nets may be located, and also a Heligoland trap, built in 1997. The area is designated as a Site of Special Scientific Interest (SSSI). The charm of the Observatory lies partly in its relative remoteness from everyday life, both spiritually and physically. It is, in effect, an oasis of Corsican pines and scrub set in a wilderness of sand dunes, the nearest main road being about a mile away across lush grazing marshes. The northern boundary of the reserve is marked by the Norfolk coast path. To the east of the Observatory building is the east bank, formed by Thornham sea wall. This bank is covered in marram grass and bramble, with small pockets of privet, and at the foot of the bank taller vegetation follows the northern edge of the Broad Water. There is a dense area of elder and willow scrub at the east end of the reserve. To the south, the Observatory looks over the Broadwater, a brackish lagoon which supports a variety of wildfowl and waders, and over the years has attracted such unusual species as Little Auk, Smew and Great Northern Diver. A sluice at the east end of the Broad Water controls the water levels. Further south beyond the A149 coast road there is a ridge of low hills, which run between Choseley and Ringstead almost parallel with the coast. Larger migrants such as raptors and even Common Cranes often follow this feature, using the thermals created by its topography. The ridge is best viewed from the platform adjacent to the Observatory building, which raises the observer just enough to afford a really good view for several miles to the south, southwest, and southeast. 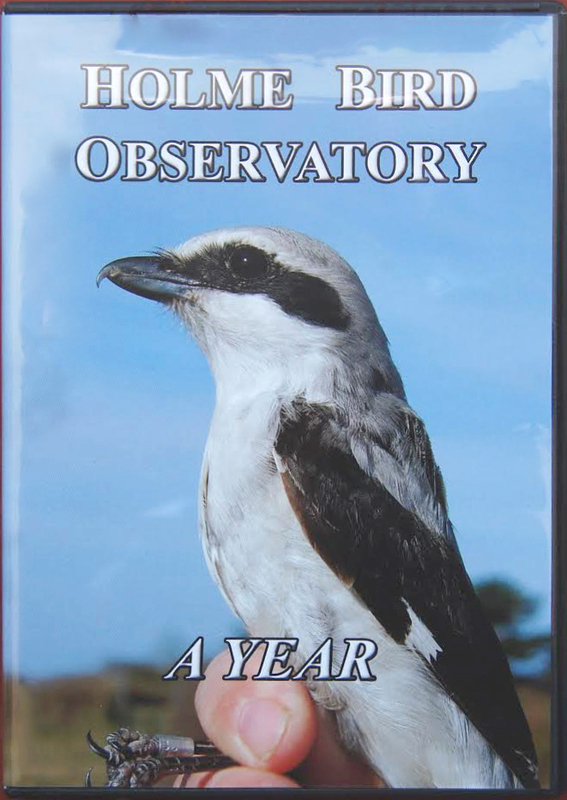 Over 300 species have been recorded in the Observatory recording area since its inception in 1962. Thanks to the wide range of habitats, there is always something of interest to see throughout the year. In winter, large flocks of Pink-footed Geese, Brent Geese and Wigeon can be found on the grazing marshes, together with less common wildfowl, and there are often good numbers of Lapwing and Golden Plover. Marsh Harriers are seen throughout the year, and Avocets are seen daily in summer. A wide range of commoner wader species can be found on the beaches, and high tides often produce large numbers of Bar-tailed Godwit and Knot. Flocks of Snow Bunting and Twite have been features of recent winters, and both Peregrine and Merlin hunt throughout the area. Ringing takes place whenever possible, and visitors are always welcome to observe the process. However, this is restricted by weather conditions, as windy or wet weather prevents mist netting from taking place. Ringing activities are usually most productive in the first few hours after dawn, but on days when birds are arriving through the day it will carry on well into the afternoon. Common Crossbill, Icterine Warbler, Hume's Warbler, Bluethroat, Great Grey Shrike, Wryneck - © Holme Bird Obs et al. 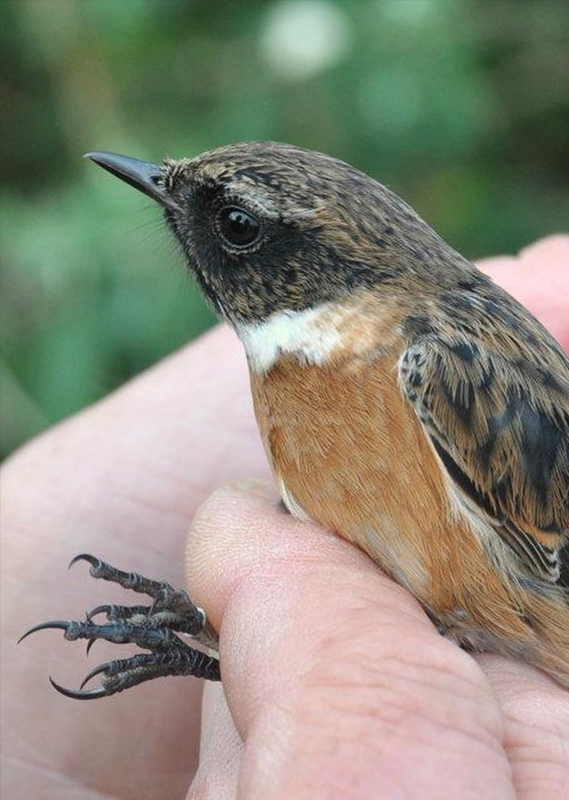 The spring and autumn migration periods provide the most diverse and exciting birding at Holme, with Common Redstart, Wheatear, Pied Flycatcher and Spotted Flycatcher recorded regularly. Unexpected species also occur; for instance, both Subalpine Warbler and Alpine Accentor were recorded in spring 2014. October is the most consistently productive month in terms of visible migration, with the middle two weeks usually producing the most birds, depending on the weather patterns. During October Robins, Goldcrests and Blackbirds are usually the most common passage birds but all kinds of species will pass through on their way south to their wintering grounds. Winter thrushes move at this time, and in some years Ring Ouzels have been seen among movements of Blackbirds in October. Finches passing through include Chaffinches, Greenfinches, Bramblings, Siskins, Lesser and Mealy Redpolls, and Meadow Pipits and Reed Buntings also move in their hundreds. Barred Warblers are recorded in most autumns, and Yellow-browed Warblers now seem to be annual at Holme in late September and October. Firecrests often pass through, usually in the latter part of the October, and Pallas’ Warbler is recorded in many years. Other possible Phylloscopus warblers such as Radde’s and Dusky can also be recorded during this month. 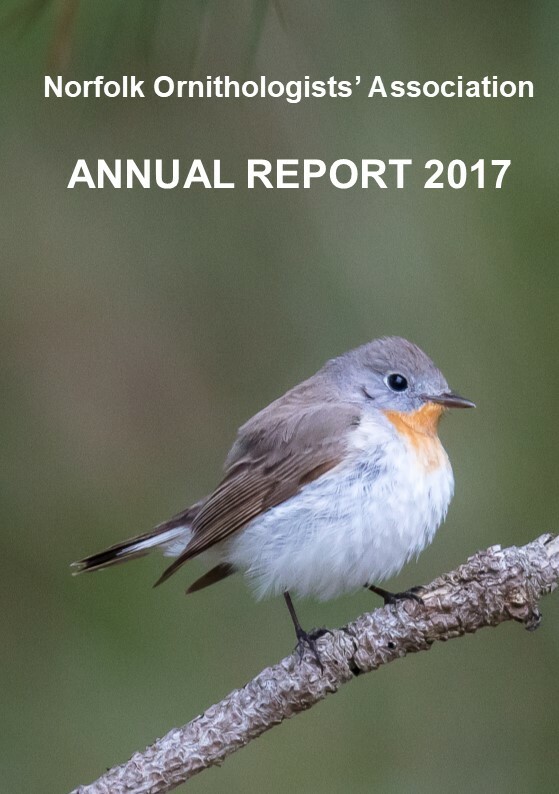 In 2013 a male Bluethroat was the highlight of the autumn migration, but a Red-breasted Flycatcher, Great Grey Shrike and Leach’s Petrel were also features. Sea-watching from either the dunes or the sea-watching hide is interesting throughout the year, with Common Scoter and Gannet recorded in most months. Divers, grebes, Common Eiders and Red-breasted Mergansers can be seen in winter, and the summer is often dominated by large numbers of terns. Sea-watching can be especially exciting during autumn, with many migrants of all kinds arriving if winds are in the northern quarter. Tern numbers are decreasing by this time, but there is often a great deal of skua activity stimulated by strong northerly or westerly winds, and shearwaters are regularly observed. Duck passage is considerable, with Wigeon and Teal moving consistently throughout October, often with less abundant species such as Pintail. Auk activity also becomes more visible; Little Auks and even Puffins can be seen with the right weather conditions. The NOA has been involved in a systematic sea-watching project since 2005, undertaken in conjunction with the British Trust for Ornithology (BTO). Members and other visitors to the Observatory are encouraged to participate in this project. Both Long and Short-eared Owls can arrive in off the sea during October, with over 50 famously recorded at neighbouring Titchwell RSPB in one afternoon, on the 13th October 2011. Other October specialities can include Hawfinch, Woodcock, Olive-backed Pipit, Richard’s Pipit and Little Bunting.